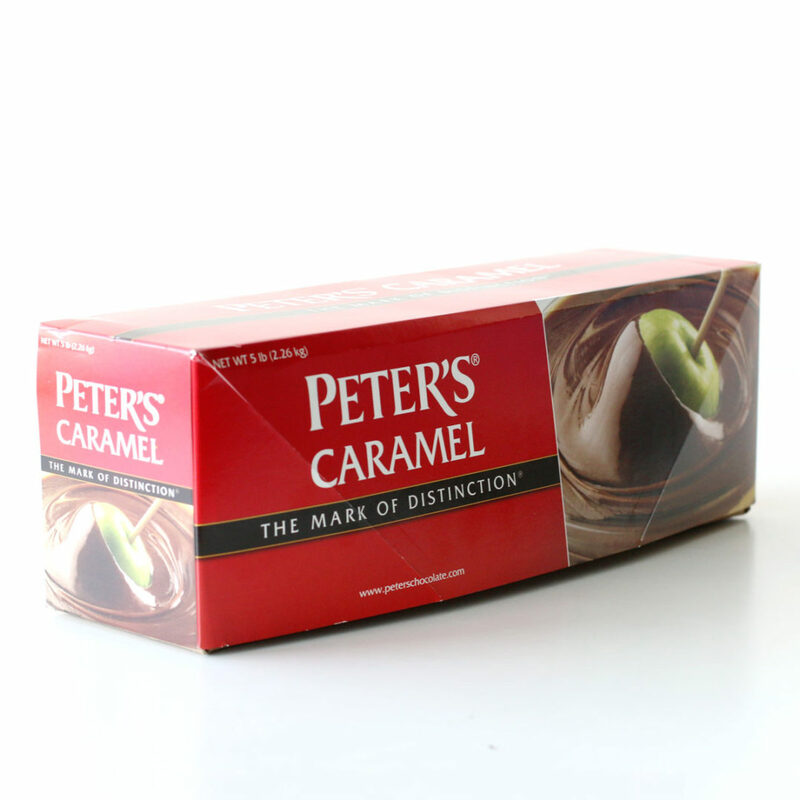 We’ve used Peter’s Caramel for years now. We’ve definitely learned a thing or two, or hundred. 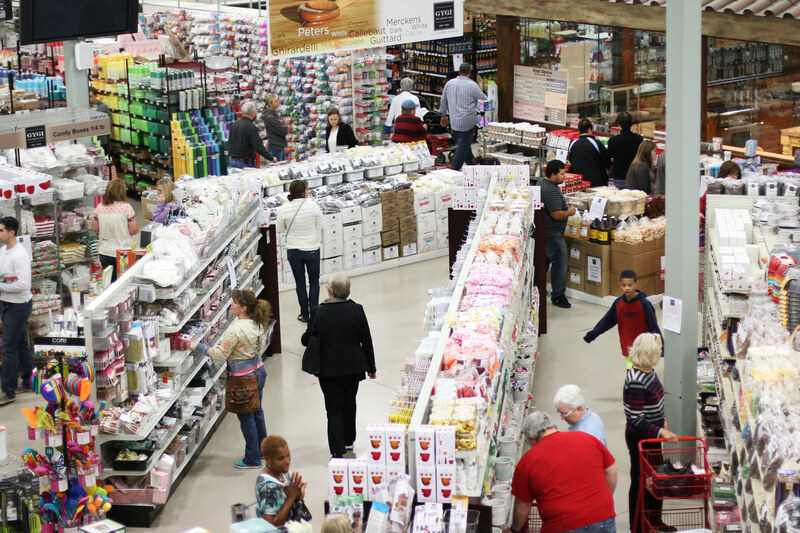 Find our best tips and tricks right here! The melting point of caramel is 120-150 degrees to make it the perfect consistency for pouring or dipping. If it gets much hotter than that, it will cook the caramel causing it to harden and crack upon cooling. Oven (our preferred method): Turn oven to lowest setting (200 degrees F) and place caramel in a French Oven (We LOVE Le Creuset). Caramel will take approximately 90-120 minutes to melt completely. Watch this quick video for more help. Stove Top: Warm slowly and keep caramel temperature within the melting point temperatures. Microwave: Place your caramel in a microwave-safe dish and cook on high for 1 minute. Stir the caramel to ensure equal melting. Repeat at 50% until thoroughly melted. Be careful to avoid scorching by always watching your caramel and stirring regularly. Crock Pot: The “warm” setting on a crock pot is approx 165 degrees F. Now that you know this, you can melt the caramel in the crock pot, but not for a long amount of time. To keep the caramel from burning, you’ll need to work quickly. Stir, stir, stir: Just like melting caramel over a double boiler on the stove top, it needs to be continually stirred in a crock pot to keep it from burning. Peter’s caramel loaf is soft and pliable. 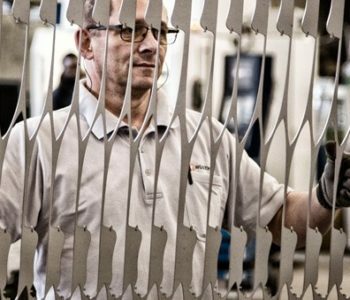 It can be melted or rolled out, cut and shaped. Thickening Caramel: Add 1/2-1 oz. Confectioners’ sugar to 1 lb. of caramel until desired thickness is reached. 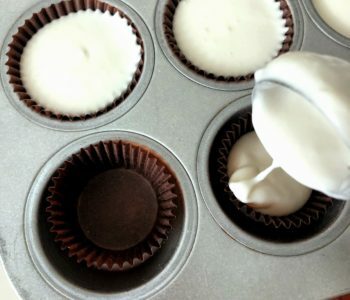 Thinning Caramel: Adding heavy cream will make it a little thinner. Also adding one can of sweetened condensed milk and one cube of butter to the 5 lb. loaf of caramel will make it thinner. (Note: Adding these are not necessary for rich, smooth caramel. The Peter’s caramel loaf already is rich and smooth, this just helps to thin it out). Chocolate Caramel: Add 1 – 2 oz. 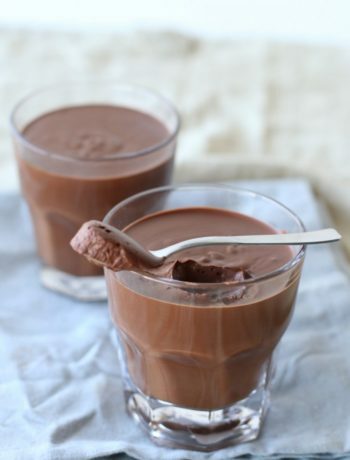 of melted Chocolate liquor, until desired taste is achieved, to 1 lb. 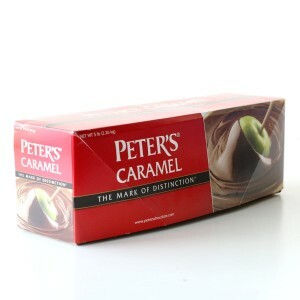 of Peter’s Caramel. 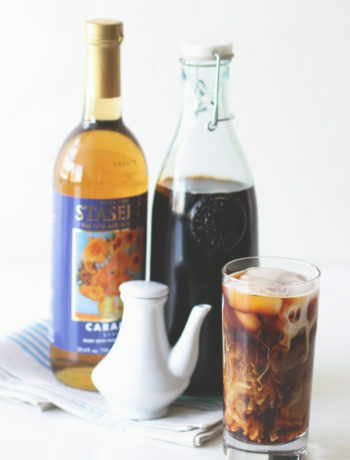 Dyeing Caramel: Add a few drops of gel paste food coloring to melted caramel to achieve any color! Because the caramel is already so dark, it works the best with darker colors. Flavoring Caramel: It’s really easy to add a slight flavor to your caramel by adding a few drops of your favorite extract or flavoring and stirring it into melted caramel. Think black licorice, pumpkin, raspberry, chocolate, coconut. Mmmmm. 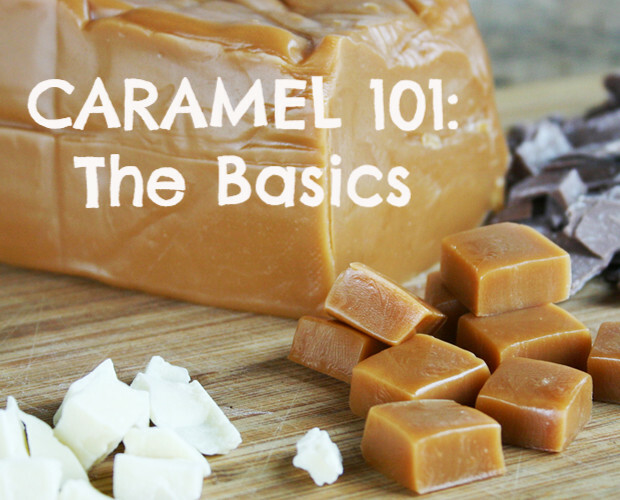 Store your caramel in an air-tight container in a cool, dry place. 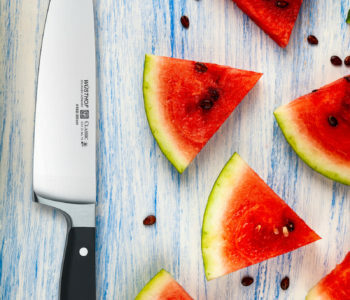 Don’t put in the fridge or freezer! We like to put our extra caramel in a plastic bag, and then we can just peel it off when we’re ready to use it again. If stored properly, Peter’s caramel loaf will last a little over 1 year. Gygi 5×5 caramel wrappers make wrapping, and sharing caramel as easy as 1-2-3!